Ilya Mondrowski had to pick a famous person and sketch him or her. That was the assignment last year for his art class at Edgewood Middle School in Highland Park. Mondrowski, an eighth-grader then, did not need much time to come up with a famous person. He and his family had recently visited the Graceland mansion in Memphis, Tennessee. Mondrowski chose Elvis. A pencil-wielding Mondrowski sketched Elvis, using a photo of the late, iconic singer as a guide. Mondrowski, now a Highland Park High School freshman,explains.“The sweater Elvis was wearing in the photo was hard to draw. It had a lot of details. The perfectionist in Mondrowski refused to settle for something very good. Perfectionists never, ever accept “very good” when “excellent” is attainable. Mondrowski received an A-minus for his artwork—the minus added due to its tardiness, and only its tardiness. Mondrowski, 14, pays attention to details on ice, too. He and his 12-year-old pairs partner, Bolingbrook resident Kiana Pan, showed up on time on January 20 and aced the major test—the free dance segment in the Juvenile Ice Dance division—at the United States Figure Skating (USFS) National Champion- ships in Detroit. In fifth place against 11 other pairs after the first segment (waltz) and in second place after topping the field in the second segment (tango), Mondrowski-Pan put on quite a show in the free dance, wowing and bedazzling the judges and the spectators and the NBC Sports webcast viewers back home. The pair captured gold—by two points. A two-point margin in ice dancing? That’s a wide one, a 28-point victory in football, an 80-60 triumph in basketball. 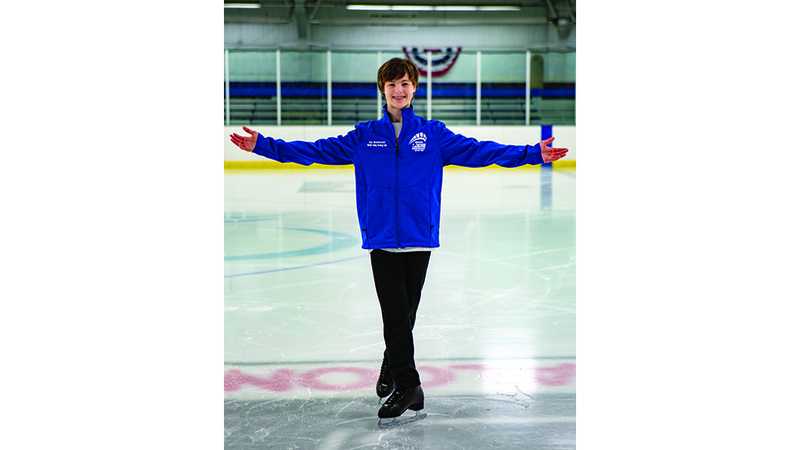 Mondrowski unwrapped his competitive ice dancing career only a year ago, give or take a day or two of practicing dance lifts under the direction of coach Eve Chalom at Centennial Ice Rink in Wilmette and other venues. 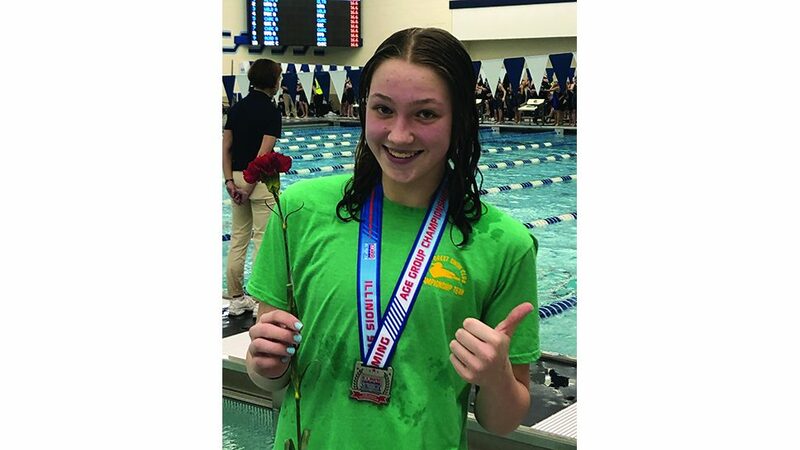 The 5-foot-5, 115- pound Mondrowski and Pan collected their first medals, bronze, at their first competition last fall. The duo then bronzed again in November at the Midwestern Sectional Figure Skating Championships in Fort Wayne, Indiana, earning a Juvenile division national berth in Detroit. Not a bad rookie year. Ilya claims ice dancing is 60 percent athleticism, 40 percent performance. Ilya’s father notes Ilya’s “soft knees” make his knee bends and landings in ice-dance segments look smooth and effortless. Mondrowski’s perfectionism serves as his fuel in figure skating and in ice dancing. coach. “You have to have the drive and the determination to get better in this discipline, and Ilya has those qualities, definitely. Mondrowski’s skate blades hit ice for the first time at Centennial Ice Arena in Highland Park. He was 4. Ilya Mondrowski competed against other figure skaters for the first time at the age of 8. Centennial Ice Arena hosted the competition. He left the facility a tad heavier, a silver medal dangling near his chest. Years later ice dancing caught his fancy at the same rink. He began practicing with a local girl. Hockey? The young man does that, too. Successfully, too, since picking up a stick and moving a puck for the first time as a first-grader. Mondrowski, who plays travel hockey for the Winnetka Warriors, once scored six goals—six!—in a game. Double hatty. The forward and his HPHS JV Grey teammates captured a conference cham- pionship in Rolling Meadows on February 28. His all-time favorite professional hockey players, in alphabetical order: former Detroit Red Wings forward Pavel Datsyuk, current Chicago Blackhawks right winger Patrick Kane. In a typical week in the wintertime, Mondrowski skates four days (practices and games) as a hockey player and the other three as a figure skater/ ice dancer. 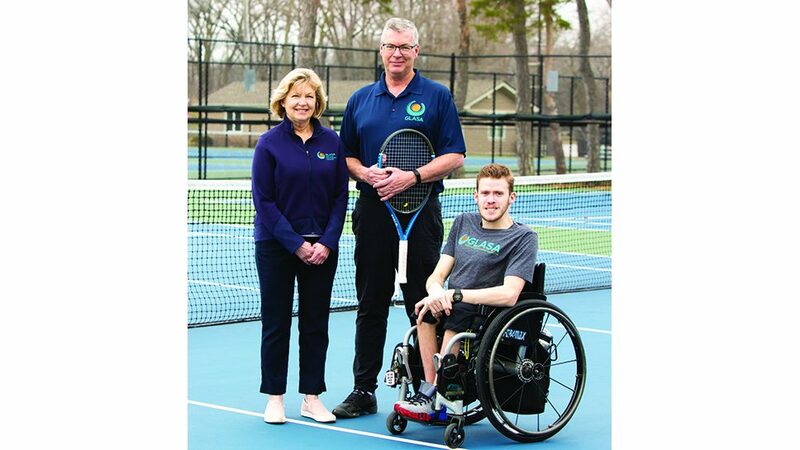 On the weekends that he takes ice dancing lessons at Fox Valley Ice Arena in Geneva, a 75-minute drive from his home in Highland Park. He makes time for weight-training. He somehow also shoehorns two private freestyle skating lessons with Nebel at Centennial Ice Arena—during his HPHS lunch hour. “Busy kid,” his mother understates, adding Ilya is an honor student, plays the violin for the school orchestra, golfs and builds stuff (including outdoor furniture) in his spare time, and makes a Shamrock milkshake that tastes better than that green concoction at McDonald’s does. “If his grades are not where they should be, we’ve told him he’d have to drop something. He hasn’t had to drop anything.